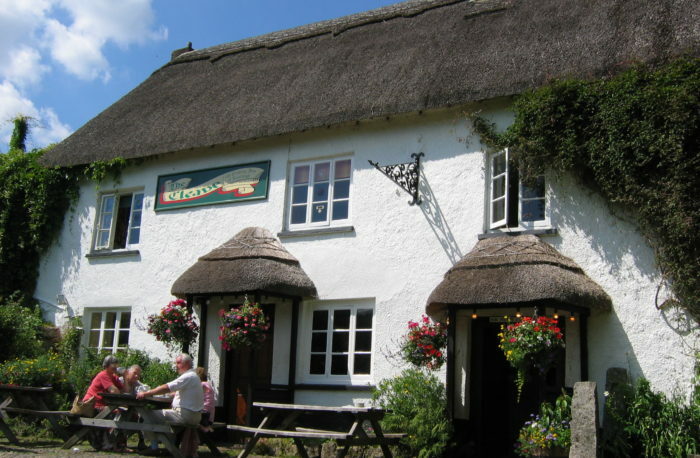 A beautiful thatched pub dating back to the 15th century that’s situated in the heart of Lustleigh on the hills of the Dartmoor National Park. A warm welcome awaits with relaxed dining at affordable prices and plentiful real ales to choose from. In the warmer months there is a charming cottage garden to enjoy, and in the winter a traditional snug bar complete with log fire.